This article was published earlier this year in The Bent, which is the magazine for the National Engineering Honor Society. The organization has a membership of 87,000 engineers across the country and the overall response was quite positive. The article succinctly summarizes how EMF science now shows that wireless technology can harm our health and I point toward solutions for our society. I began to question the trajectory of our culture five years ago when a bank of wireless smart meters was installed below my bedroom in San Francisco. Within a week, my wife and I were experiencing headaches, insomnia, tinnitus, heart palpitations and fatigue. This set me on a journey to learn as much as possible about how electromagnetic fields (EMF) affect biology. I now have a website on this subject and recently gave a TEDx talk “Wireless Wake-Up Call” at the University of California, Berkeley. I encourage you to watch the TEDx talk before reading further as the talk is a good introduction to this subject. In this article, I dive more deeply and provide more information than a fifteen-minute talk for a general audience can allow. Below I will cover the basic problem with the recent exponential rise in EMF pollution, the evolution of EMF science and possible solutions for our society. I also provide steps that you can take today to create a much healthier home from an EMF perspective. 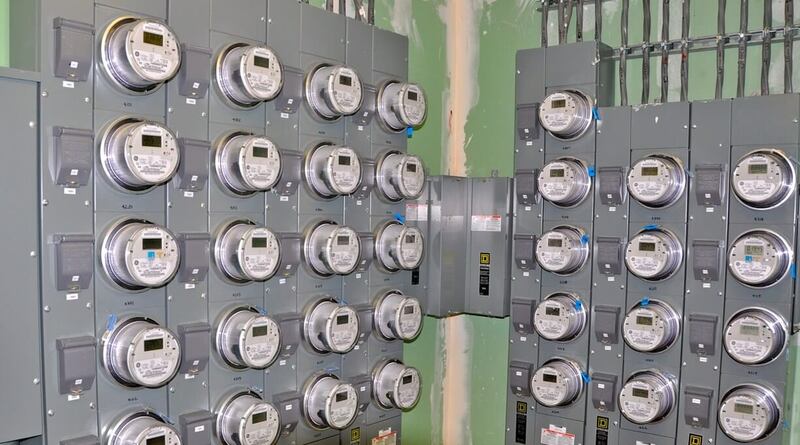 Multi-family buildings often have a bank of smart meters like this next to units. Each wireless smart meter pulses on average 10,000 times per day, creating a dangerous situation for nearby residents. Before we move on, I want to acknowledge that I realize this subject may be controversial for you. It was for me five years ago as well. The predominant world view in our society is that electromagnetic fields are completely safe as long as they do not heat or shock you. Much of our economy is based upon this assumption, so one would conclude that it must be true. My intention for this article is not to be confrontational. It is to begin a discussion and to encourage some of the brightest minds in the United States to realize that we are not seeing the whole picture when it comes to the safety of wireless technology. As you will see in this article and in your own research, there is now enough evidence that weak electromagnetic fields affect biology. This could have serious consequences for the future of our civilization; it is an issue we must begin to acknowledge so that solutions can be created. I welcome your feedback and to furthering this discussion. Our electromagnetic environment has changed immensely over the past ten years and wireless technology is set to expand even faster in the next five. Before the invention of the iPhone eight years ago, the electromagnetic exposure for most people was quite low unless they were early adopters of wireless technology or lived next to a cell phone or radio tower. However, today we have nearly ubiquitous WiFi, even in schools and hospitals, and additional cell towers to provide the data to everyone’s smart phone. We also have smart watches, smart utility meters, smart thermostats, smart homes and new vehicles with powerful Bluetooth and WiFi routers. This recent increase in microwave radiation is unprecedented, but it is only the beginning. The next phase is 5G and the “Internet of Things” which will connect everything we purchase to the internet with its own IP address and wireless transmitter. 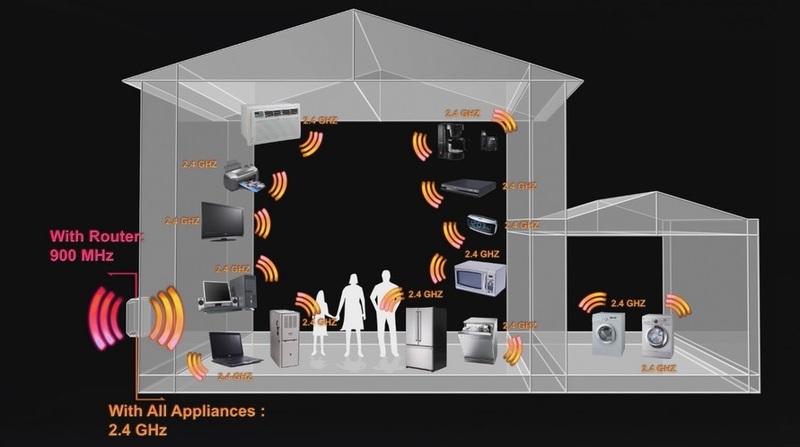 The “connected home” of the future may have up to one million bursts of microwave radiation pulsing through it each day. To make all of this work and to circumvent the community review process for cell tower siting, wireless companies are now joining with local governments to put powerful cell antennas on utility poles, often just ten to twenty feet from homes. This is the called the Distributed Antenna Systems (DAS) and is currently being rolled out in cities such as San Francisco, where new antennas are being placed on most city blocks. 2 Many cities in the United States will have this system in the coming years. To add to this, Google and Facebook are competing to provide their own internet service to everyone. 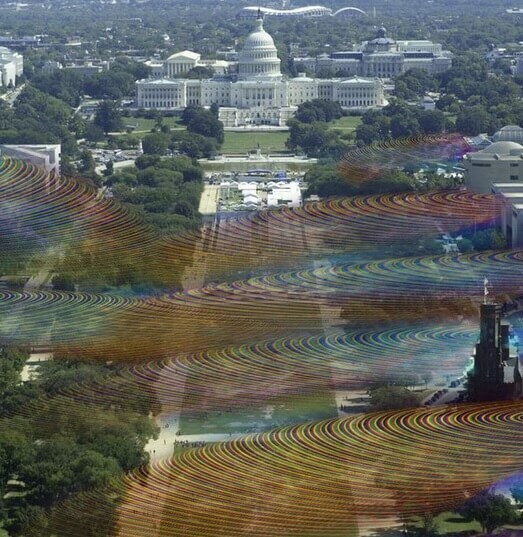 Through projects such as Google’s “Project Loon,” which will put up balloons with WiFi antennas at 60,000 feet 3 and Facebook’s proposed 60 GHz Terragraph WiFi system, 4 our society has entered a new era of electromagnetic exposures. However, this is all being done with a holdover assumption from a previous era that pulsed microwave radiation is completely safe. Over one million cellular antennas like this are set to be placed on utility and light poles throughout our communities by 2020. With the 5G rollout, many city blocks will have 3-4 antennas – one for each wireless carrier. If we could see the exponential increase in wireless technology the past decade, this is what it would look like. Our society’s EMF safety guidelines are based on thermal standards. The idea is that if non-ionizing electromagnetic fields do not heat you, then they cannot possibly hurt you. Even though there is plenty of evidence that non-thermal EMF exposures cause biological damage, this evidence is repeatedly dismissed by the private bodies and government agencies that set the safety standards. The reason for this is quite practical. In the 1950s, after the invention of microwave radar technology in WWII, the military and industrial applications of microwave technology were seen as a higher priority than any potential ill effects on health. They reasoned that the Cold War and economic growth were much more important than the possibility of illness or cancer for a segment of the population twenty to thirty years in the future. However, the people making those decisions in the 1950s and 1960s could have never imagined that sixty years later, our society would be experiencing the tremendous boom in consumer wireless technology that has occurred. Nor could they have imagined the predicament that future political and industrial leaders would find themselves in. Today we have a situation where the growth in consumer wireless technology has created some of the biggest and most profitable companies in the world. Wireless technology has quickly become an integral part of our economy and, lately, one of the few reliable growth sectors. Wireless is also an incredibly popular technology that much of the population loves and is addicted to. 5 This is primarily because of the convenience and the fact that people simply enjoy communicating. Plus, it provides immense tax revenue and surveillance capabilities to the government through data collection. For all of these reasons, there is no politician or industry leader who will be able to admit that the safety standards do not protect the public because they are not designed for the exposures we experience today. The “Smart” Home and the “Internet of Things” may be highly profitable for technology companies, but include health, privacy and internet security risks for families. One of the first persons to discover the biological effects of non-thermal microwave radiation was Dr. Allan Frey. In 1975, Dr. Frey found that microwave radiation opened the blood brain barrier of rats, which is very similar to that of humans. 9 This experimental result has been repeated in subsequent studies 10, 11 and is of great concern because the blood brain barrier plays a vitally important role in the protection of the brain from pathogens, toxins and heavy metals. One of the most disconcerting effects of non-thermal microwave radiation is DNA damage. The reason is obvious: DNA damage can lead to cancer and this critical outcome would require that the authorities take action. The European Union funded REFLEX-Study looked at this exact issue. The 2004 study was coordinated by Dr. Franz Adlkofer in Vienna and the published results were very concerning for the cell phone industry and the public. 15 The data showed that cell phone radiation caused DNA damage. 16 This was obviously quite a surprise as it had been previously thought that non-ionizing radiation could not cause DNA damage because it was not strong enough to knock an electron off a molecule. 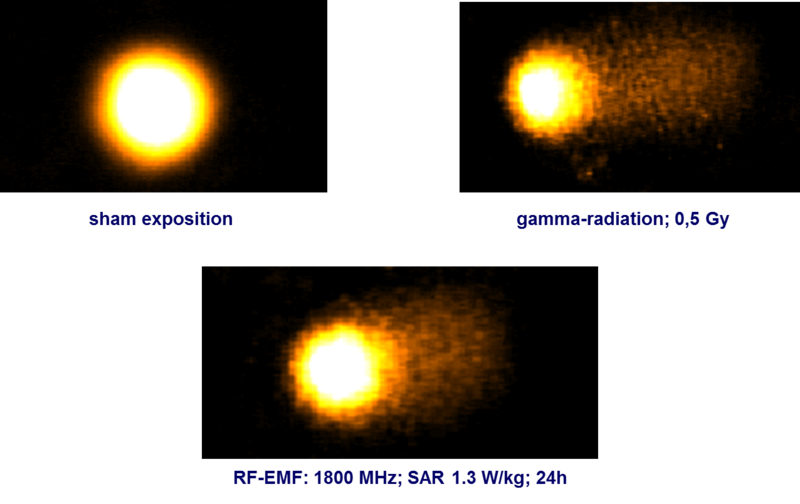 REFLEX-Study comet assays show similar micronuclei results (DNA strand breaks, genotoxic effects) for both gamma radiation and microwave radiation from cell phone exposure. This is a significant recent change for a leading scientist who has spent the past couple of decades publicly stating that there is no good science showing non-thermal biological effects from electromagnetic fields. However, if research increasingly shows DNA damage and cancer promotion from non-ionizing microwave radiation, what is the biological mechanism? For, without a mechanism, it will be difficult for the scientific community to fully accept this new paradigm. We are now at the point where it is no longer tenable for regulatory bodies to claim that non-thermal electromagnetic fields are safe. This is happening simultaneously with the expansion of wireless technology at an unprecedented rate. Unless something is done, within five years much of our civilization will be filled with levels of microwave radiation that are known to cause disease. In the United States, the one regulatory body that could change the course we are on is the Federal Communications Commission (FCC). This body sets the legal exposure limits. However, its primary objective is actually to increase and monitor the advancement of wireless technology. The health of the public is not its primary concern, nor even its job. This is likely why the FCC only protects the public from thermal exposures. To further complicate this matter, the FCC is believed to be heavily influenced by the wireless industry. In 2015, the Harvard School of Ethics and journalist Norm Alster published a report on this situation called “Captured Agency.” 28 Mr. Alster details how the revolving door between the agency and the industry it supposedly regulates is endangering the public. You have to look no further than the head of the FCC, Thomas Wheeler, who was once the top wireless lobbyist in the country. Former FCC commissioners also lead prominent wireless lobbying organizations. It should be noted that Norm Alster wrote about the Dot Com crash and the 2008 Financial Crisis before they occurred. That he would now turn his considerable journalistic abilities toward this issue is very telling. One of the primary organizations that western governments, including the United States, use to set microwave radiation safety guidelines is ICNIRP. 30 However, there is a problem with using private bodies for something as important as public safety. Small, private clubs can be easily manipulated by lobbying and by pressure from industry and military interests. Private organizations can also self-select members who have a certain bias toward EMF science without comment or input from the public. This is a highly un-democratic way to choose the people who are responsible for determining if the technology our children and grandchildren use on a daily basis is actually safe. RF-EMF does not cause any health effects. Human sensitivity to RF-EMF does not exist. The only biological mechanism for RF-EMF is thermal. Non-thermal biological effects do not exist. If our safety standards are set by an unaccountable private body made up of members who already have a bias against the considerable science showing detrimental non-thermal EMF biological effects, then it is likely we are setting up for a major health crisis. What I have shared thus far could be considered the bad news. The good news is that solutions do exist. On a personal level, there are many things you can do to make your home, office and children’s schools safe from an electromagnetic perspective. Here are the basic steps you can do to limit your exposure to wireless technology and what can be done in your home to make it healthier. By taking these steps, you can begin to minimize the exposure levels for you and your family until the political will arises to create solutions on a broad scale. Solutions also exist on a societal level and this is where engineers can be of immense value. One of the primary solutions is to wire our society with optical fiber. Using light to transmit data creates no electromagnetic fields, except at the switches. Fiber optics is also “future proof” because it provides nearly unlimited bandwidth. This will allow our technology industries to prosper as bandwidth is no longer a limiting factor. Finding inexpensive ways to bring fiber optics to and within every home will be a boon for our society. There are already companies doing this 33, 34, 35 and a company in Germany and Austria has already developed a technology that turns existing copper wiring into fiber optics by extracting the copper and blowing in optical fiber. 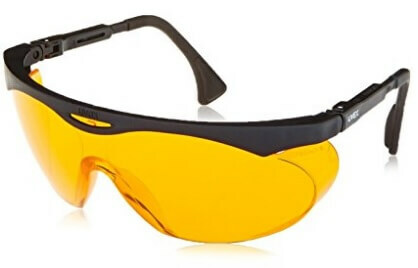 We can also create safer products. This includes lowering the radiated power of consumer wireless devices so that the emissions are not just within the FCC guidelines, but at levels that are determined to be safer for users. Research will be needed for this, but based on the work of Dr. Pall and others, it may be possible that there are certain wireless frequency, polarization, pulsation and power combinations that have minimal biological effects. It will take very complicated research to determine these windows, but once we admit we have a problem, this work can begin in earnest and will help society tremendously. For now, one of the most important things we can do is to limit the rollout of wireless technology to only necessary applications and in ways that do not directly overexpose humans, especially children. Our current carefree expansion of wireless technology must come to an end. A more intelligent path forward is needed if we are to have a technological society that is also safe for humans. I believe that acknowledging the importance of this issue will move our society forward in a beneficial direction. It will also birth entire industries devoted to creating safer technology. Billion dollar ideas and companies can be created in this new frontier. You may already have an idea that will serve the forward-thinking parents who are now demanding safer technology for their children. As engineers, creating a healthy society with incredible technology would be a true paradigm shift and one of the greatest achievements we can accomplish. I hope that you will join me in this grand endeavor. A Spanish version of this article can be viewed here. A French translation is available here. Jeromy Johnson has a B.S. and M.S. in Civil Engineering from the South Dakota School of Mines & Technology. He was the president of the SDSM&T Tau Beta Pi chapter from 1998-1999. His focus the past five years has been the health effects of electromagnetic fields and solutions for safer technology. Excellent as usual. Very well done and informative. We are seeing an absolute explosion of this stuff everywhere. The plans for more are very extreme. We are literally choosing between health and wellness or wealth and hellness. Well said Brian. The ugly business of corporate greed and power. Thank you Jeromy for an excellent article. I plan on sharing it with my doctors. Your continued efforts to expose the truth through education is greatly appreciated. This is very interesting. I just got a land line. Some how the energy of the smart phones bothers me. Mine never seem to work quite right. Also it gets hot by my ear and I can’t hear, nor can people her me for the static. So alas, the return of the land line. Am a bit concerned that it had to plug into the modem. I now have to print this to give yo my two children, both don’t except Facebook messages. Thank you so much for this eye opening article. Thank you, Jeromy, for helping to move this information forward. From your article anyone should be able to understand EMF science. Thank you so much for sharing. An excellent article, simple and accurate for your audience. You have a real talent for communication. Thank you for this great article and photos to clarify – the first I have seen of a 5G cell antenna of this type. This is a great article to share with Doubting Thomas. How on earth can we stop this roller coaster that is out of control? And, to be clear, the brown thimble type antenna pictured above is part of Verizon’s 4G LTE network (not 5G). 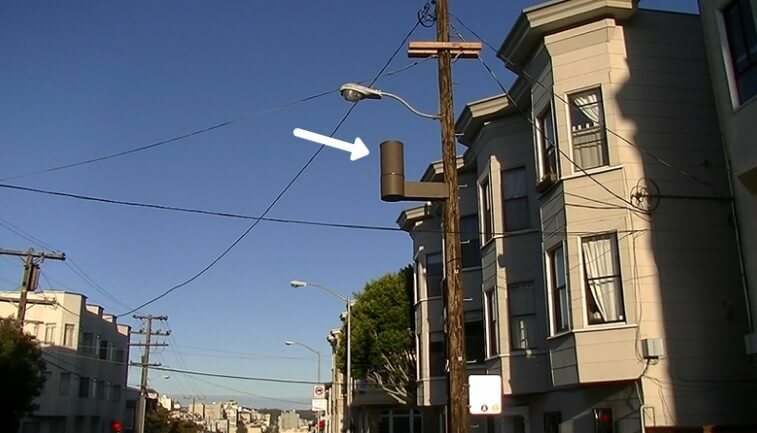 Currently in San Francisco, Verizon and AT&T are installing antennas like this on many street corners. This is for the LTE and AWS systems. 5G antennas are not being deployed yet (at least as far as I know). The industry people I have spoken to say it will be at least a year or two as the equipment still needs to be designed, built and implemented. Most likely, many of the existing small antenna sights will be upgraded to 5G when the technology is available or they will be put on other electrical or light poles nearby. Either way, the RF exposure levels will surely increase in cities in the coming years. That’s the part, sharing with people, opening conversation… this is great time coming with the holidays. Any step in this direction is a positive move. Jeromy, this is an excellent article! I will post it and send directly to friends. Congratulations on your commitment and the visibility you’re getting. As a parent, it’s an accomplishment to have my teenager remove devices from his bedroom before bed and charge them far away from anyone. The best we can do is keep our kids engaged – a moment of down time and they pick up a device. And here I am reading and writing this on my iPhone….consciously. Indeed, if you can get a teenager to engage in this conversation, then you are doing something right. Great work. We are going to have an entire generation that doesn’t know what it’s like to go outside and play when they are bored. I feel lucky to be born 20 years before the wireless revolution took place. . . Thank you for this article – one of the best summaries of our current situation that I have seen. You should consider having an image that will come up in social media feeds like FB. Right now it only appears as a link which is not as attractive to people to click through. Thank you – and there is a nice image that comes up in Facebook and Twitter when you share. At least that is what I have seen. Thank you Jeromy for this clear and insightful article. People often deny what they fear, using denial as only one example of an unconscious defense mechanism, and it’s articles like this one that can sometimes help others to realize and move past denial, fear or resistance. I just really appreciate all the work and time you have contributed to bring out the awareness on the science of EMF issues. Thank you. 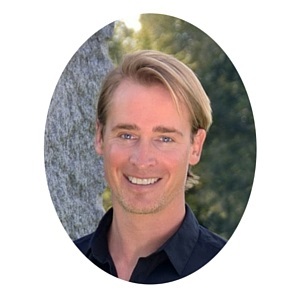 Thank you so much for a very informative and practical article to share with everyone, even those who are skeptics! Jeromy, your article is an awesome inspiration. It will be a catalyst for those who are grounded in scientific principles to realize that it is time for a particular scientific paradigm to evolve. It speaks with a respectful, yet urgent challenge to engineers and scientists to reconsider and re-examine how our lives are affected by RF-EMF. Your article objectively notes the variety of factors that brought us to this point, but focuses on the urgent work that is critical for a healthy future. And, you are speaking directly to the future leaders that will invent the benefits of this paradigm shift. As a retired educator, I’ve been talking to a Society of Women Engineers member about how I could speak to members of university chapters. I was elated that besides recent biological research, I had, in-hand, two very recent articles: Dr Sarah J Starkey’s Oct-2016 Inaccurate Official Assessments of RF Safety… and Dr Magda Havas’ Nov-2016 When Theory and Observation Collide. Now, I am ECSTATIC that I can share your article also! It is personal; it is professional. It brings us full-circle to how we can move forward. Shirley – that’s what I intended for this article to be. Glad you can use it! Well written Jeromy! So glad you are getting some media coverage. How ’bout sending this to NPR’s Science Friday? I hear you Jacqueline. Getting more mainstream media is key, but they are all scared to really touch this subject in a thorough and honest way. It’s a political and economic hot potato because the economic and health stakes are so high. It will happen though. it’s just a matter of time. I keep telling myself this very thing. Have to believe. Everything depends on it. Wonderfully informative and scary. But my question is what can we do to stop this? I’m sick of just receiving info and feeling helpless about it all. What happened to the days of long ago when people got together and stopped the greedy monopoly from taking over our rights (and our right to health and a healthy planet should be tantamount)? I actually feel blessed to be sensitive to these things, but I also think it’s a responsibility. Like it or not, we are the canaries, and unless the canary sings we’re all doomed. You are exactly right, Candra. We basically need all of the canaries to sing in their song – to wake up their families, their communities and humanity. Find your way to help others understand what is going on and teach them what they can do in their homes and communities. I do believe this is how things will shift. It will start and be led locally. DC and other capitols will be the last to change. The facts weren’t all there either – completely glossing over the U.S. NTP results that show cancer and DNA damage from pulsed RF. It is now undeniable that wireless smart meters are harming people. I have had thousands of injured people contact just my website alone. Other websites have had the same response. Thanks Jeromy, for your effort and time in putting this together. It’s essential to be aware of these matters. I write from Australia and particularly love the idea of the copper wiring being extracated and blowing in optical fibre as the optimum healthy process. Excellent stuff Jeromy. Having suffered from EMF sensitivity myself this article is a great reference. It’s not the top link when I Google it, but it’s on the first page. The first thing is that Google is not an arbiter of truth. You only have to look at the Wikipedia pages of so many controversial issues that threaten the profits of major industries. Those Wiki pages often come up first and then are biased toward corporate profits. Second, the issue with the Reflex study has been resolved in the German courts, as I reference above (citation # 17). This was an incontrovertible hit job against science that shows cell phone microwave radiation is harmful. It is the only thing the telecom industry could do with science like this (sully the reputation of the scientists and their research). Finally, even I was surprised to see that there have been 73 studies the past 20 years like the Reflex project that have shown DNA damage from cell phone radiation (including the recent NTP preliminary results). This is no longer a matter of what the truth is. It is a matter of helping society realize they have not been told the truth. Thank you. That page is great. Yes Jeromy, very well done. This is a summary of information I also found and it’s the core of the issue today. Thank you for this overview and resources, it is a valuable link to send sceptics and I do hope it will be sent around a lot where it’s needed. Many blessings to your health, understandings and progress on this issue. Thanks Jan. Not surprised this is what you are finding too. E’ in atto già da tempo il progetto di olocausto electromagnetico. So what can we do if we are already injured by electromagnetic fields and chemicals? The most important thing is create a low-EMF / low-chemical environment to live in – what ever this may be for you. 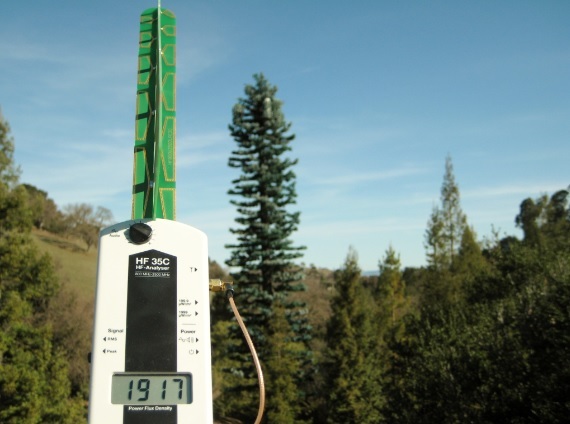 It could be an off-grid location or a low-EMF home in your community. This is what helps people the most. My intention with this website is to help you reduce EMF exposures so that you are not harmed by these toxins in the first place. It’s the ounce of prevention. . . hopefully more and more people will learn about this. It is also helpful to detoxify your organs, particularly your liver. Liver flushes are highly beneficial to start unblocking a congested liver. Clay baths and foot soaks are also good to do a couple times each week. What I am wondering is can concerned citizens get together and demand a cap on these wireless technologies that are taking over? I don’t know if we could get enough people together or any politicians in our ring, but I really think some laws need to be in place to cap this nonsense. Great article, Jeromy, and much needed. Thanks for getting it out there. All true, in my personal experience and my research on the subject. Did you and your wife both notice your symptoms before, or after you first learned about the presence of smart meters under your apartment? Were your symptoms unusual or brand new to you, mild, moderate or severe? When new or unusual symptoms occur before any knowledge of the presence of a new source, this lifts evidence out of the realm of mere anecdotal or circumstantial evidence and it becomes evidence of correlation that can be used to strongly imply causation, because then it cannot be attributed to possible psychological factors, fear, nocebo effect, etc. Diminishing of symptoms upon leaving the vicinity of the source of emissions, and return of symptoms when getting closer again, especially with lots of repetition of this “inadvertent experiment”, would further strengthen correlation between source and symptom. Strong repeated correlation, especially when some of it is without prior knowledge of the presence of a source of emissions, should be able to be used to establish causation. Concerning wi-fi in schools, I would like to emphasize that the exposure to pulsed microwave emissions is not just from the wi-fi transmitting modem some distance from students, but is also from the wi-fi transmitter in each computer or iPad practically in each student’s lap and also from the sum of wi-fi pulses emitted from 30 to 40 of these personal devices in the classroom. I guess the FCC cannot add. In animal and tissue culture EMF experiments, confounding usually uncontrolled variables are the orientation of polarization of EMF relative to the direction of the earth’s magnetic field, and also the use of incubators that generate their own EMF, thereby inadvertently exposing samples to higher EMF than the test exposures. Also variable background EMF in the room. Many experimenters did not consider these factors, and this is one reason results have been inconsistent. But what is clear is that many of the harmful effects discovered have been sufficiently properly reproduced numerous times, including increase in free-radicals, and damage to DNA, the blood-brain barrier and sperm. The problems with most human intentional experiments on EHS include: 1) experimenters assuming necessity for a conscious detection of EMF instead of slower systemic effects; 2) uncontrolled high background EMF; and 3) not usually pre-selecting a frequency/source type for exposure that it is known that each particular subject is actually sensitive to. For example, if you test for peanut allergy with a different type of nut, you will get negative results; likewise each electrically sensitive person has certain radiation sources they are very sensitive to, and others they are much less sensitive to. 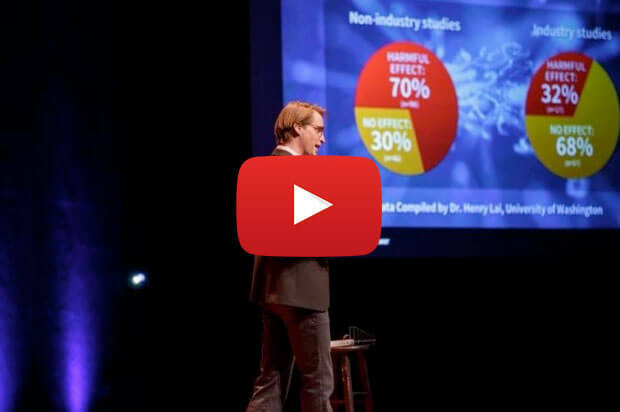 I would like to remind readers of the strong relationship between research results and funding, as you detailed in your TEDx Talk: approximately 2/3 of the research funded by industry showed no effects, and 2/3 of independently funded research discovered harmful effects. Concerning the statement in Jeromy’s article : “a technology that turns existing copper wiring into fiber optics by extracting the copper and blowing in optical fiber” must of course have simply meant pulling the copper wire out of conduits and replacing it with optical fiber. Thanks for this comment Richard. Correct. We did not know the smart meters were there when we began experiencing the symptoms. We didn’t even know that people could experience such things from pulsed RF. Our symptoms also went away upon leaving the home. It was night and day. Excellent article! Great knowledge and info long overdue! Definitely God sent. Thanks for taking the time to care. Jeromy, This is a great overview of the problem with supporting links. Every one need to understand this. Thank you for putting it all together in one location. Thanks for summarizing the key points for this very important topic. It is an excellent article for general dissemination since the public needs to understand the issues. Excellent article! Thanks Jeromy for sharing and moving the issue further and further into the public consciousness. Presently, my main concern are schools and the use of wireless routers within classrooms. This all adds up to overwhelming proof that something needs to be done and as soon as possible to reverse the current trends. I couldn’t agree more, Michael. With what we now know, having WiFi in schools is a terrible idea. Especially when much safer and faster solutions exist (ethernet and fiber optics). We really only have WiFi because companies such as Apple want to sell wireless tablet computers. They could be just as profitable if they pushed wired computing solutions in schools. Perhaps they will once the public wakes up? Thank you Jeromy excellent article. Sharing your article with everyone I know, including my doctors. Every trip around the city and into the country, I turn my eyes to the skies and see the gluttony of cell towers everywhere with more being installed. I view them as alien structures, not only physically ugly but also environmentally ugly, polluting our beautiful planet with monstrous amounts of EMF’s, harming everything in its path. As I see them, a feeling of fear creeps in because at the very root of these alien structures, it’s the ugly business of power and greed from the corporations as the driving force, neglectful of any respect for our planet, for our animals and human life. It is a sin. What was once thought of as a safe haven, protective from the outside world, which is our home, is also so infiltrated by EMF’s, it makes one want to run off to some obscure part of the world where not one cell tower nor Smart Meter exists. Because I have experienced severe radiation burns from EMF’s and other physical symptoms, I am VERY passionate about the subject. Thank you for all your hard work, educating the public and exposing the truth. You rock!! Ignorance is not bliss when your life changes and you have no understanding why. to their health by the wireless technology advertised in such a positive light. My life changed . . . I changed, and in search for the truth, your voice is among those offering explanation. Today my mind and body struggle to accomplish moving out of a “condo” I’ve lived in almost 20 years, over a period of time surrounded by an ever-increasing level of wireless transmissions. While I feel at this time incapable of combatting the onslaught – am hopeful to make my way out of here, to a place where I feel capable of taking a stand to increase awareness. I feel so much beyond gratitude for your most noble efforts, and those of others who devote so much of themselves to speak the truth about the inherent dangers in a technology – promoted and falsely marketed as “smart” and “safe” by corrupt corporate powers, motivated by profit, with no concern for harm caused to the health of each one of us and the damage being inflicted upon future generations. May The Force always be with you. Your research and experience is personally relevant to me. I’ve discovered I’m very sensitive to EMF after living in South Korea for five months. I broke a year long contract because I was constantly feeling exhausted, anxious, and unwell. Flourescent lighting in my classrooms, smart meters four feet from my apartment, and the pervasive EMF of a huge city really affected me. The only thing that helped was frequent earthing. Sitting on grassy patches throughout the day, and escaping to the forest on weekends. So, now I’m moving back to the US to find a smaller city and try to set my environment up to work for me. Thanks for sharing Sam. I’m glad you have connected the dots as well. All the best in your search for a healthy location in the US. Should be much better than a city like Seoul. I can’t thank you enough for keeping me updated with the latest research and information regarding the EMF problems. Your articles are great & easy to understand. Because of all your help over the past year it’s helped me educate people in my family and others in the community also. I really believe that you possibly saved my sister’s life. She is doing a lot better. I sent the TEDx talk video you shared with me to 5 of my family members regarding the dangers of cell phones and smart meters. During a recent gathering they were all willing to leave their phones in the car so she would not have additional exposure. This alone gave her more hope to have a better quality of life, even though she knows her life is changed drastically because of the EMF problem all around us. The understanding of a few of us helped her. Thank you Jeromy for really caring enough to reach out to help me with my sister. I pray God blesses you and gives you continued strength to move forward with this wealth of information people need to protect themselves as much as possible and of course their children. Take care & Merry Christmas to you & your family. Thank you for sharing that your family is understanding this issue. That’s one of my main goals, so I am glad this information is useful. I wish your sister continued improvement. At some point in the future, most people will be aware of the importance of this issue and we will all be much better off. Especially appreciated all the scientific references & anti-bio descriptions. This would be an excellent article to educate the incoming President & his Administration, no matter one’s political “party” preference. Govt. changes will never happen until the “people in charge” are made aware of it (don’t assume they already know — besides the FCC, that is. We know the FCC knows better!). Link: https://GreatAgain.gov > choose the “Share Your Ideas” menu & leave comments re EMF Dangers. The more comments the better. –People with credentials can also apply for jobs under the President Trump Administration at that same link or go straight to https://apply.ptt.gov . –Dr. Tom Price (orthopedist) @RepTomPrice (GA) is PEOTUS Trump’s choice for HHS Chief (Dept. of Health & Human Services). If anyone needs to be made aware of EMF Health Damage, it will be him! –Since MWR (Microwave Radiation) is also an environmental hazard & so is the noise emitted by SmartGrids, PEOTUS Trump choice for EPA Chief is current OK AG Scott Pruit & @AGScottPruitt. He also needs to be made aware of these EMF hazards! –Former TX Governor Rick Perry is PEOTUS Trump’s choice for Dept. of Energy Chief. It was Obama’s DOE that provided the massive funds to accelerate the spread of SmartGrids/Meters! So it’s time to educate the next DOE Chief in advance! –PEOTUS’s Transition Team’s twitter is @Transition2017. Let them know re EMF hazards! –Ditto, the already appointed Personal Counselor to PEOTUS for his Admin, Kellyanne Conway, a mother of four. She is known as the “Trump Whisperer” because she “has his ear” re “everyday issues” affecting Americans. Whether she knows re EMFs already , she can always learn more if thousands were to tweet your article link to her @KellyannePolls. Whether you are Libertarian, Green Party, Democrat, Republican, etc., it should not matter who the next President is (for those who dislike Trump). What matters is EDUCATING him & his Team before more of us suffer from this EMF (especially including SmartGrid/Meters) nightmare. As a person with EMF sensitivity, I had to discover the extent of rf exposure by myself. It was with the help of my doctor, now retired, that I found that my blood pressure going up as much as 100 points on the systolic side was from rf exposure. After one such exposure to a router in a beauty salon, my bp was 220/110…I literally drove to the doctor’s office and asked him to give me something for it. ..it was scary high. He said that there was no bp med that he could give me that would take it down, but he also explained about Dr. Sinatra’s work with the Rouleux formations when red blood cells take on a positive charge (they magnetically stick together with the other red cells that normally carry a negative charge). He advised me to go home and ground myself. While this seemed like a strange request, I trusted that he knew what he was talking about and followed his instructions. After sitting on the patio and holding on to a copper grounding rod which I happened to have, I took my bp after about 40 minutes. The new bp reading was 105/75! And, I felt decidedly better. Since that day I have used grounding when I sit in a chair to read, in bed while sleeping and even in my car when I’m driving. It has made a huge difference. I would like to find a doctor who understands EMF sensitivity and its consequences. Apparently many doctors do not consider this a REAL, physical condition. One doctor who I had contacted to obtain a bp prescription renewal told me that his brain gave off radio waves then made a referral to another physician who’s office was under a cell tower. Another doctor literally threw me out of her office when I said that rf radiation made my bp go up…she stated that…”I’m a scientist and do not treat fantasy diseases”…She was extremely hostile to the whole idea and refused to look at the documents from the studies of Dr. Martin Pall, or Dr. Sinatra. Since WiFi is in all public transportation, hotels, schools, libraries, doctors’ offices, hospitals, and many restaurants as well as installed in the attics of many homes, it has become increasingly difficult for me to feel safe when I leave home…especially to go to the bank where numerous people are using their cell phones and tablets, etc. I live in the Central Valley of California. Do you have any recommendations on informed medical professionals? Thanks for sharing your story. So many people are experiencing the same thing when it comes to the medical profession. Some MD’s get it, but most do not. They have not been trained in this realm, so they don’t believe it can exist. Maryland is the first state to acknowledge the research on harmful effects of EMF and to recommend reducing exposure. After reviewing new and growing evidence on health risks of wireless radiation, the Maryland State Children’s Environmental Health and Protection Advisory Council (CEHPAC) issued a Report advising the Department of Education to recommend local school districts reduce classroom wireless radiation exposures by providing wired—rather than wireless—internet connections. “While this report focused on WiFi radiation in schools, there are additional concerns about mobile phones and cell phone towers. CEHPAC plans to take a look at these broader issues over the next year,” the Report states. Thanks for sharing this Burt. Indeed, it is great to see states starting to take action. At some point in the not-too-distant future, there will be a tidal wave of such action. If you haven’t seen this video of Dr. Martin Pall’s presentation yet, you are in for a heavy experience. He delineates the actual damage EMFs/RF do to our cells, cell membranes, mitochondria and DNA. 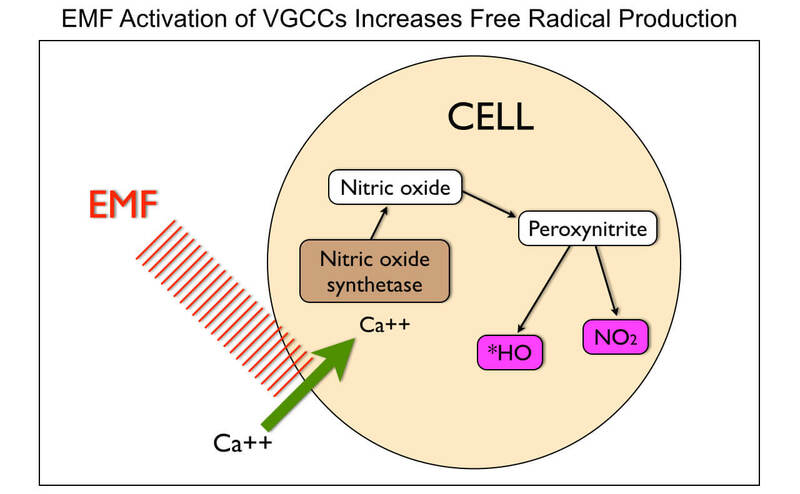 I’m now looking into the supplements that can act as natural channel blockers and antioxidants to protect against EMFs (molecular hydrogen, magnesium bicarbonate, liposomic Vit C). Ha! You are on top if it all. Thanks for the brain health link. This is great information Annette. Thank you! So many people react to these new wireless systems in cars. I have always wanted to see a simply on/off switch that will disable the functions. This is the ultimate solution, but most carmakers don’t want to acknowledge the problem. Especially with AI an Autonomous Vehicles being the buzzwords for the future of cars. Some cars are that simple.